Behind the Safeway at Granville and 70th. 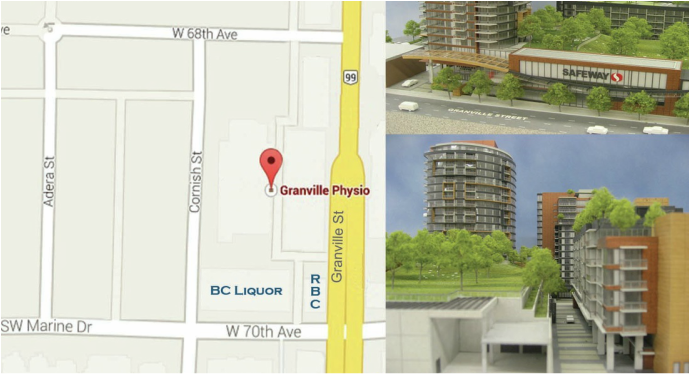 Access from southbound lanes on Granville or off of 70th between the Royal Bank and BC Liqour store. There is ample parking outside of the clinic. We provide physiotherapy services for Vancouver and Richmond including: Dunbar, Kerrisdale, Oakridge, and Marpole neighborhoods.